Who Shined a Green Laser in Tom Brady's Face on Sunday? Video shows a green light flashing on him during Sunday's game. 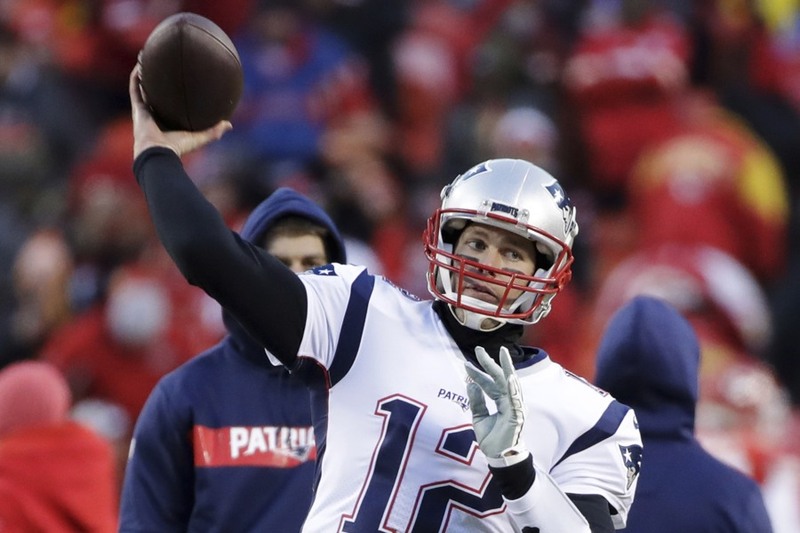 By Spencer Buell·	 1/22/2019, 10:23 a.m.
Who is the genius Chiefs fan who pointed a laser into Tom Brady’s face on at least three occasions on Sunday? That’s what the NFL wants to know. The league is investigating the alleged attempted sabotage after video taken from the sidelines unmistakably shows a green light flashing on the QB’s uniform and helmet during snaps at the AFC Championship game at Arrowhead Stadium. Clips of the incident were recorded by KMBC, a St. Louis TV news station, and shared far and wide online Monday. The NFL is now “looking into the report of the laser beam,” league spokesman Brian McCarthy tells the Boston Herald. Not like it mattered, though. The Patriots are in the Super Bowl after all, and many have taken the incident as proof that Tom Brady is unstoppable, even with a freaking laser beam in his eyes.